Percent-encoding or URL Encoding is a mechanism to provide information in an URL under certain circumstances to ensure only certain ASCII characters are used. This is important for Application, Plugin development, SEO Purposes and for the Webmasters. Unfortunately enough, this Percent-encoding or URL Encoding is given much lesser weight than it deserves. Actually the peoples who are around the backbone of Internet are very less in number and with the advent of consumer grade Blogs ‘Popular’ blogs on Internet, these information are never passed to the general consumer or prosumer grade Internet Users. Without this Percent-encoding or URL Encoding some information could not be expressed in a URL. For example, a space in the browser usually interpreted as the end of the URL, the next following signs are ignored or cause an error. When we share an URL, for example you Retweet this article, they are converted to Percent-encoded or URL Encoded form. You can try by clicking the Twitter button below this article and notice the full set on address bar – its not necessary to hit the Retweet button, just observe the set in the pop up window. That is what Percent-encoding or URL Encoding we are talking about. With URL encoding a space can be passed by the string %20. RFC 3986 defines a standard as a URI (and therefore also a URL) should be constructed syntactically and under what conditions the URL encoding is applied. The character which are not included in the ASCII character set, for the sake of representation, in URL encoding the percent sign used. There is however so far only one recommendation in RFC 3986, a mandatory standard is still missing. It is important to note the two phrases – Uniform Resource Locator (URL) and Uniform Resource Identifier (URI). 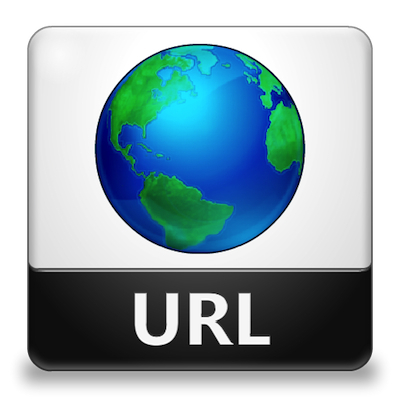 URL Encoding in fact, generally is more used within the main Uniform Resource Identifier (URI) set, which includes both Uniform Resource Locator (URL) and Uniform Resource Name (URN). As such, it is also used in the preparation of data of the application/x-www-form-urlencoded media type, as is often used in the submission of HTML form data or in HTTP requests. So, we need certain mechanism for the conversion. This is the basic principle behind Percent-encoding or URL Encoding. However, the rules are not always strictly followed. This Article Has Been Shared 4597 Times! Cite this article as: Abhishek Ghosh, "Percent-encoding and URL Encode/Decode," in The Customize Windows, October 4, 2013, April 26, 2019, https://thecustomizewindows.com/2013/10/percent-encoding-and-url-encodedecode/.